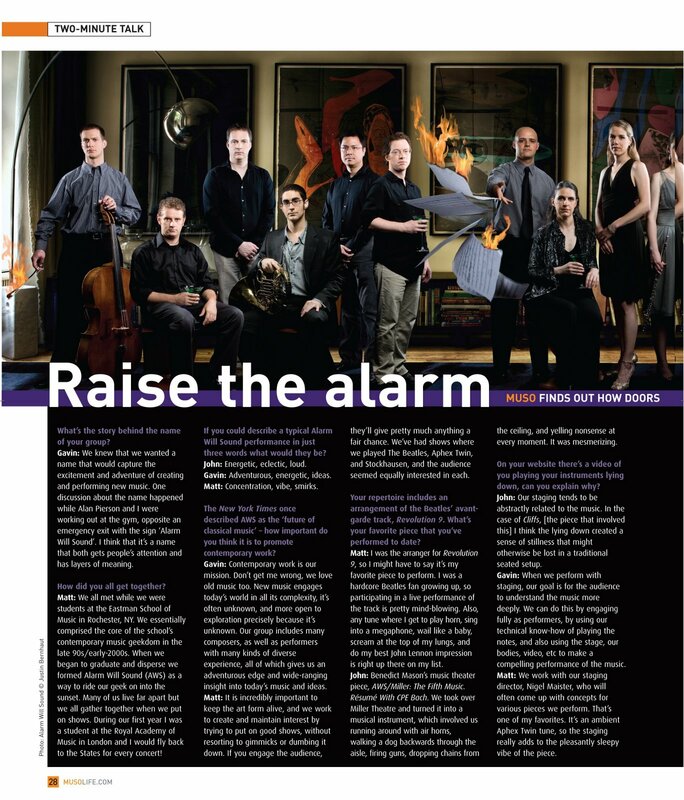 There is an Alarm Will Sound feature in the newest issue of MUSO Magazine. 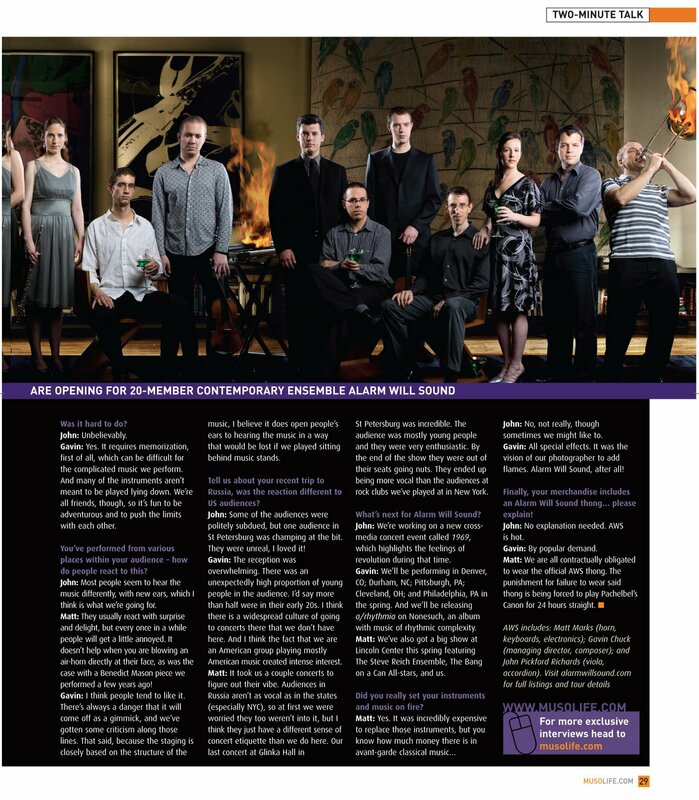 I was interviewed, along with Gavin Chuck and John Richards. Given the sassy nature of the magazine, I gave a lot of sassy responses to their questions, and was surprised that they printed most of it. Cool. Btw, if I look a little, as Melly would say, “gaunt”, it’s because I was about two days out of the hospital and had dropped 30-40 lbs. :) This was over a year ago, I’m all better (and fatter) now!